You probably never thought of the Shetland Islands as a travel destination, and if you did, it may only be because of the famous miniature ponies of the same name. Or perhaps you’ve seen some episodes of the popular BBC “Shetland” detective series. What you may not realize is that these islands have some of the most spectacular scenery in the British Isles, historical sites that go back 5,000+ years, a hospitable and friendly population and diverse visitor amenities. Check out our USATODAY 10Best Shetland Islands feature and discover the beauty of this lovely part of Scotland. View our SHETLAND ISLAND PHOTO GALLERY on our photography website for more photo images. View on the tropical landscape under one of the domes of Therme Erding, located just 10 miles from the 5-Star Munich International Airport. Munich International Airport, Europe's only 5 Star airport! 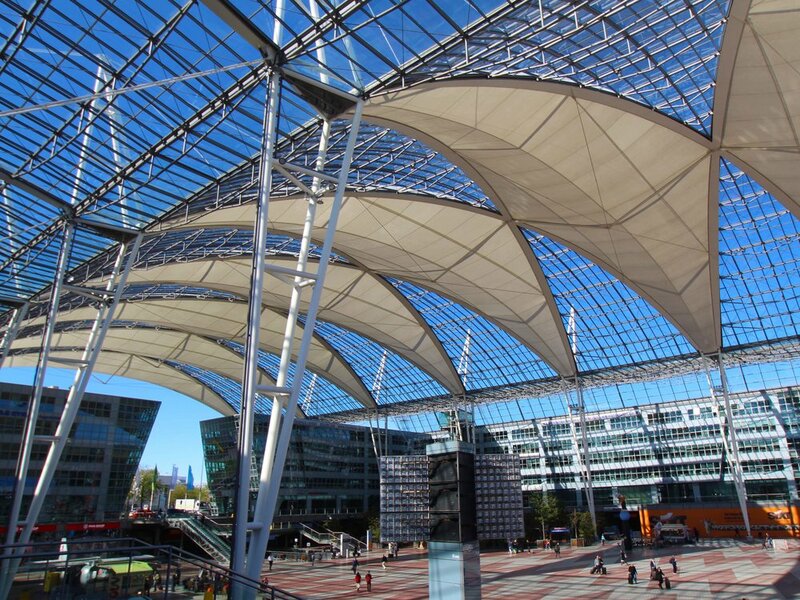 The next time you travel to Munich's 5-Star airport (which is a destination in itself! ), consider a visit to the Therme Erding--just 10 miles from the airport--to banish your jetleg and revive your body and spirit in healing mineral water. The 13th Century city of Erding is also a delight to explore, as is the beautiful Bavarian countryside. Munich is just a short (23 mile) train ride away, so you can actually have the best of both worlds during your visit. From the moment we set sail from Venice on Windstar Cruises' Star Legend (past an unforgettable view of the city as we made our way down the Grand Canal), we knew there would be many more such stirring moments on this incredible journey. That moment came when our ship docked in the harbor of the island of Hvar, Croatia. We had a mere 8 hours to discover this historic island, which dates back to the 4th century BC., but within those hours, we managed to fall completely in love with the island of Hvar. I hope our photos reflect this love affair with this magical isle. Check out our experiences there on our HVAR PHOTO GALLERY on USAToday/10Best.com. We realize it's hard to tear yourself away from the glories of Venice if you are on a visit, but if you have a day to spare, consider a tour to Burano and Murano, a short ferry ride away from St. Mark's Square. For a photo gallery of what will await you on these two islands, considered among the top ten most colorful towns in the world, check out our photo gallery tour at USAToday/10Best.com-Venice's Best Kept Secrets. If your itinerary brings you anywhere near Slovakia, make it a point to visit the historic and highly picturesque city of Bratislava, which is the country's capital. Take a look at the charming scenes we enjoyed during our afternoon through the city on this recent photo gallery at USAToday/10Best.com. For an epic cruise you will never forget, sail on the 166-passenger Windstar Cruise Line's Star Legend from Venice down the Adriatic Sea to Greece. Follow our adventures on board on USA TODAY 10Best.com and digitally soak in the incredible beauty of the ports of call on this spectacular cruise. Enjoy reading about the beauty of Switzerland's Lake Geneva Region on USAToday's online Travel page. Discover the beauty of Zurich, Switzerland and the glorious Lake Zurich region on my recent USAToday/10Best.com photo gallery! 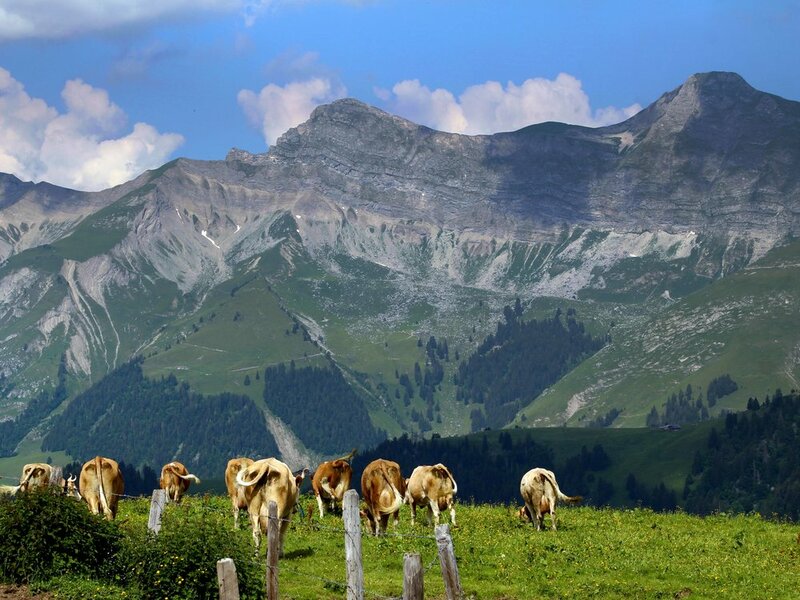 Thinking about a visit to Switzerland? My travel article on the glorious Lake Geneva region of the country was recently published in the travel section of the San Diego Union-Tribune. The complete article is available at this LINK. To view a library of all photos taken by Joanne and Tony DiBona, please visit our SWISS PHOTO GALLERY. Explore the incredible beauty of the Lake Geneva region on my USAToday/10Best slide show of this region. Viking River Cruises was recently named Best River Cruise Line in the 10Best Readers' Choice Awards – and for a very good reason. The "Cities of Light" tour from Paris to Prague, down the Moselle and Rhine rivers and past some of Germany's most famous and historic cities and towns, is the consummate travel experience. The numerous city and cultural tour excursions, led by informative local guides, as well as the on-board amenities are top-notch. Log onto our VIKING RIVER CRUISE photo show to see a daily gallery of photos highlighting each glorious day of our adventure. Frankfurt, Germany is a bustling metropolis in the heart of Europe and a global financial and trade hub. The city is an interesting visitor destination in its own right, but most travelers don't realize how many historical and charming towns are within an hour's drive from the city center. Explore a photo essay that was published recently on USA TODAY/10Best describing this awesome adventure. It's hard to imagine the history and German "Gemütlichkeit" that is so readily accessible from the hip and vibrant "big city" of Frankfurt. Stroll through Medieval villages, raise a glass of Riesling in the famous town of Rüdesheim on the Rhine, immerse yourself in history in the cities of Aschaffenburg and Darmstadt, luxuriate in the mineral spas of Bad Homburg, and enjoy a unique wine tasting experience in Hochheim. There's a wealth of experiences awaiting the visitor to the Frankfurt Rhine Main region of Germany. Interested in seeing some stunning photos of this entire adventure? Please log on to my Germany photo gallery page. 10Best.com published a two-part series I produced on Bavaria, Germany. Bavaria is one of the most picturesque vacation destinations in the world, and hopefully this photo show will inspire travelers to visit this safe, friendly, and infinitely beautiful part of the world.